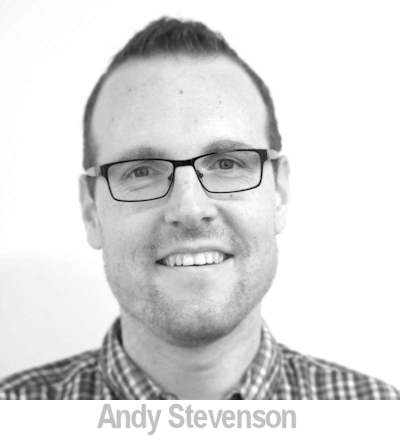 Andy works for TV production company Whisper Films and is an occasional reporter for BBC Radio 5 Live. He was born with very short arms and no hands. His left leg only comes down to knee level, so he wears an artificial leg on his left side. 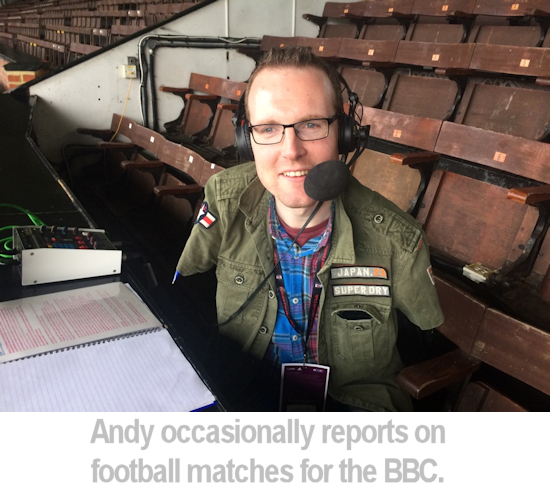 Despite his disabilities, Andy was passionate about sport from a young age. As an adult, he has combined that passion with his skill for writing & public speaking to pursue a career in sports media. In our interview Andy describes his career so far, in both TV and Radio and tells us about working with a disability. At what point did you realise a media career was for you? I’ve always loved sport, especially golf and football. I was a good passer and could read the game well, but my artificial leg meant I had zero pace and not much stamina. Think Jan Molby with one leg. So I probably accepted at quite an early age that I was never going to be a Premier League footballer. But I knew I wanted to work within sport, and given my love of writing, I set my heart on being a newspaper sports reporter. One summer holiday, I went maximum geek and wrote a fake back page every day for 6 weeks, complete with headlines and spaces for photos. At the same time, I was obsessed with TV sport and watched the coverage of big events, almost more for the pre-event build up as the event itself. Des Lynam was and always will be my hero. He was the master. I was always better with words than numbers. I enjoyed English at school and went on to study English & American Literature at Warwick. That was a turning point because I got involved in the sports programme on their student radio. I quickly realised I enjoyed speaking about sport even more than writing about it. By the time I graduated, I knew that I wanted to work in radio or TV, so after a year out I did the postgrad broadcast journalism course at Cardiff, which was fantastic. It was a very vocational course and it’s fun seeing what all my classmates have gone on to achieve. How did you break in to the world of work? Tell us about your early career. Part of the Cardiff course was a work experience placement, so in April 2004 I spent a fortnight at BBC Radio Berkshire. I ended up working there for 5 years in both on-air and off-air roles. I read the weekday afternoon sports bulletins and occasionally did the pre-match interviews with the Reading FC players. On Saturday afternoons, I ‘drove the desk’ for the Saturday afternoon sport programme and read the supporters’ text messages. Briefly, myself and a friend called Ollie Williams (who went on to be one of the BBC’s Olympic reporters) did online commentary on the local ice hockey teams. Then in the summer of 2009, a job advert came out for a Researcher role on BBC Sports Personality of the Year. For an anorak like myself who’d watched that show for years, fronted by Des, I knew it was a job I had to get. I worked harder on that application and the subsequent interview than pretty much anything else, before or since. Thankfully I got the gig, and so began 3 years doing my dream job at BBC TV Sport, surrounded by incredibly talented people. "Go your own way, set out your own ambitions and aim for them with all you’ve got." I ended up becoming an AP (Assistant Producer) across the sport documentary unit and was sent out to do interviews/shoots with some of the biggest sports stars in the UK. I had to pinch myself as I filmed with Tom Daley, AP McCoy and others, as well as celebrities like Stephen Fry and the one and only Jimmy Tarbuck. One particular shoot involved me spending a day filming with Benedict Cumberbatch (‘call me Ben’) and ended up on the roof of the 02 Arena. That will take some beating. Around that time, I auditioned to become a Channel 4 Paralympic presenter. Just weeks after my screen-test I was asked to co-present their coverage of the 2011 Para World Athletics Championships in New Zealand! I then presented some basketball at the Paralympic World Cup alongside Ade Adepitan. I thought I was going to get my big break. Sadly, Channel 4 did a bit of a U-turn and decided not to take me on as a presenter at London 2012, leaving me devastated. 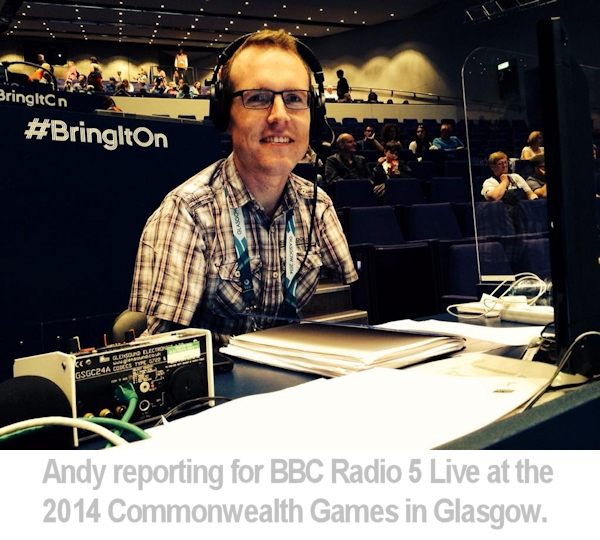 However, there was a huge silver lining because BBC Radio 5 Live stepped in and employed me as a reporter at London 2012, the Glasgow Commonwealth Games in 2014 and Rio 2016. They have all been such enjoyable periods in my life and have led to me being an occasional football reporter for 5 Live and BBC Final Score. I hope to be able to continue doing on-air radio work in the future. Or TV! You left the BBC and went freelance in 2013. Why? Me and my girlfriend at the time, now my wife, decided not to move North with BBC Sport. All of our friends and family are in the South and we didn’t want to leave that support network, so I had to let my job go to Salford without me. I will never forget how lucky I was to fulfil my dream of working for BBC Sport (I even met Des a few times!) and at BBC Television Centre, which I still really miss. I actually continued to freelance occasionally for the BBC at things like Wimbledon and on Sport Relief, alongside two stints on Clare Balding’s chat show at BT Sport. In the lead-up to the Rio Paralympics, I got a taste of commissioning at Channel 4 Sport, but decided to return to production about a year ago with Whisper Films. What kind of programming are you making at Whisper? I am Series Producer on the Winter Paralympics, which we’re producing for Channel 4 next March. I’m largely responsible for our relationships with the athletes, governing bodies and our presenters/reporters/commentators. I also find myself happily wading through spreadsheets plotting when each sport is happening and where the British medals are likely to be won. I’m also working on a couple of other projects at Whisper, but the company is most well-known for its F1, NFL and women’s sport coverage. It’s a very exciting, ambitious place to be. In what ways has your disability affected your career? It’s interesting doing interviews like this, because there was a time when I shied away from talking about my disability because I just wanted to focus on doing my job well. I didn’t want to be known only as ‘the guy with no hands’ and I thought that publicising or talking about my disability on a regular basis would make it harder to get away from that perception. However, as I’ve got older and more experienced within the industry, I realise I probably do have a responsibility to other disabled people thinking about a career in the media. I probably do need to be saying ‘come on in, things will be fine’. How hard has it been to work in the media with a disability? Well, I am often asked what TV channels and production companies are doing to attract more disabled people. But I think that misses a crucial, wider issue. For example, I am incredibly lucky to have had a Motability car and I used to have social services funding for helpers who come to my house in the mornings and help me get ready. I would not be able to do the work I do without those key things being in place. At a time when lots of disabled people are having benefits cut, their cars taken away etc, they are being prevented from working in a lot of industries, let alone the media one. In other words, it doesn’t matter how much the BBC or Channel 4 or indie production companies do in the field of disability if the disabled people they are trying to attract can’t get out of bed, or drive to work, or have the necessary support whilst working. It makes me so angry when I see political policies and short-sighted thinking holding people back from contributing and from having a fulfilling life, which is a basic human right. You have achieved a great deal in your career without letting your physical challenges hold you back, what personal qualities helped you succeed in the broadcast-media industry? It’s probably not for me to say what my qualities are, but I know you have to be determined and passionate to get anywhere. I suppose I’ve gone into some job interviews over the years feeling like I had to impress them above and beyond any other candidate, in order to even have a chance of getting the job, eg I’ve had to convince someone I’ll be physically capable of doing a job as well as just mentally. So that’s probably given me a strong drive. With the people I line manage now, I tell them to do every single task to the best of their ability, because you never know who will notice. Especially at entry-level as a runner or researcher, do the menial jobs just as well as the more exciting ones because you never know who may be watching or listening. The same applies for people trying to get into broadcasting. Every time you talk into a microphone you have to sound your best. Do you have any ambitions for your career? I want to carry on having roles of responsibility off-screen and if possible I would love to continue doing on-air work on the radio or TV. There is still a part of me that would love to be a sports presenter somewhere. And I have an ambition to write a book about sport one day. We’ll see. Do you have any advice for anyone with a disability looking to work in the media? Go your own way, set out your own ambitions and aim for them with all you’ve got. Get a solid degree and then perhaps look at the postgrad courses. These days, if you want to be a reporter or commentator then get yourself out there on social media and look for digital content opportunities. Look out for schemes that broadcast channels sometimes offer, targeted at minority groups. Channel 4 did this to great effect with the Rio Production Trainee Scheme ahead of the Paralympics. Agencies like Access to Work can offer help if you need support in your job. One other thing to remember if, like me, you have a very obvious, visible disability. If you do a job well, you will inevitably be remembered, perhaps more than your able-bodied colleagues. This can be a brilliant advantage to make the most of. On the flip side, try to roll with the punches because there will be some. All images © Andy Stevenson and Whisper Films and used with permission.